Interested in checking out the newest businesses to open in Chinatown? From a karaoke joint to a Filipino barbecue spot, read on to see the newest spots to land in this part of Houston. Freestyle KTV & Milk Tea is a karaoke spot that features a wide-open bar space for group singing, rather than the private rooms found at other karaoke establishments. While many karaoke spots are BYOB, this place has a full bar with selections of beer, sake, and cocktails along with boba and milk tea. Rounding things out are Japanese-style appetizers like chirashi bowls, gyoza and sashimi. Freestyle KTV & Milk Tea's current Yelp rating of five stars out of two reviews indicates positive attention from users. 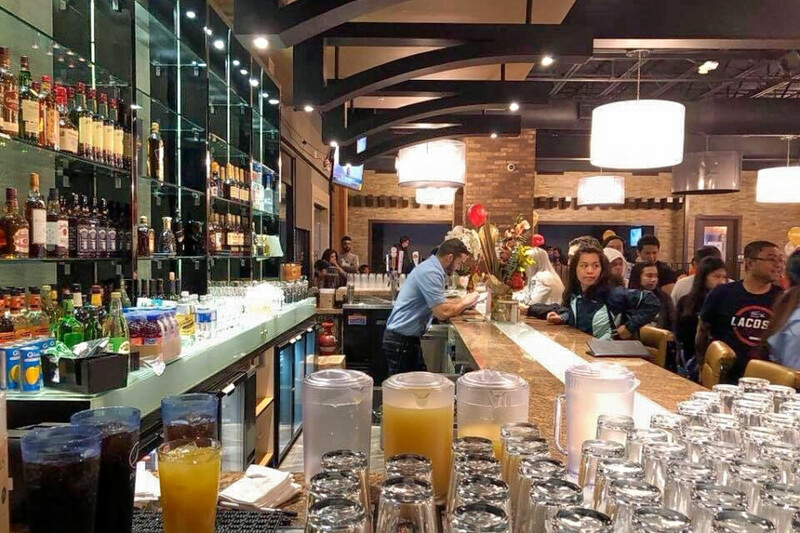 Yelper Xuan Q., who reviewed Freestyle KTV & Milk Tea on December 31st, wrote: "My friend had his 21st birthday party hosted at this karaoke bar. It's amazing. They provide beer, wine, sake, hard liquor as well. They also have milk tea and Japanese appetizers." Freestyle KTV & Milk Tea is open daily from 11am-2am. 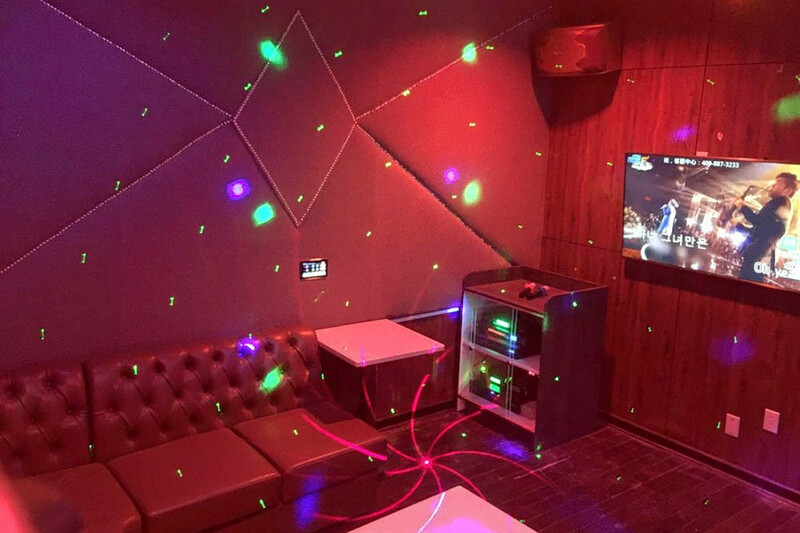 A Gogo KTV Lounge Restaurant is a lounge and karaoke spot that offers multiple private rooms for you to sing your heart out, plus food and drinks to keep customers fueled up. The new spot boasts a full menu of Chinese-inspired eats, from noodles and dumplings to meat-based entrees, along with a variety of specialty cocktails ($9-$12), wine and beer. Hourly rates range from $30/hour (for a small room on a weeknight) to $88/hour (for the big room on a weekend). For details on pricing and menus, check out the business' website here. A Gogo KTV Lounge Restaurant's current Yelp rating of five stars out of five reviews indicates positive attention from users. 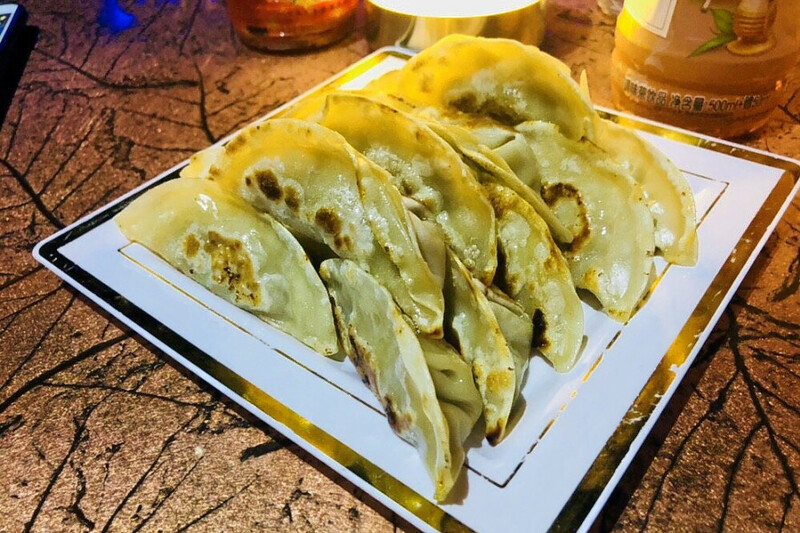 Yelper Yu Y., who reviewed A Gogo KTV Lounge Restaurant on February 9th, wrote: "Very nice KTV! Nice musical facility. Can find almost all songs you want with wonderful update of the newly released ones!" Quan Le L. noted: "This is a brand-new KTV lounge with private rooms for karaoke, full bar, huge place. The price for food is real cheap, love this place! Definitely will come back with friends in another time." And Yelper Alan L. wrote: "Wonderful experience last night. Brand-new, top-notch karaoke bar in Houston area with very friendly environment." A Gogo KTV Lounge Restaurant is open weekdays from 5pm-2am, and weekends from 2pm-2am. 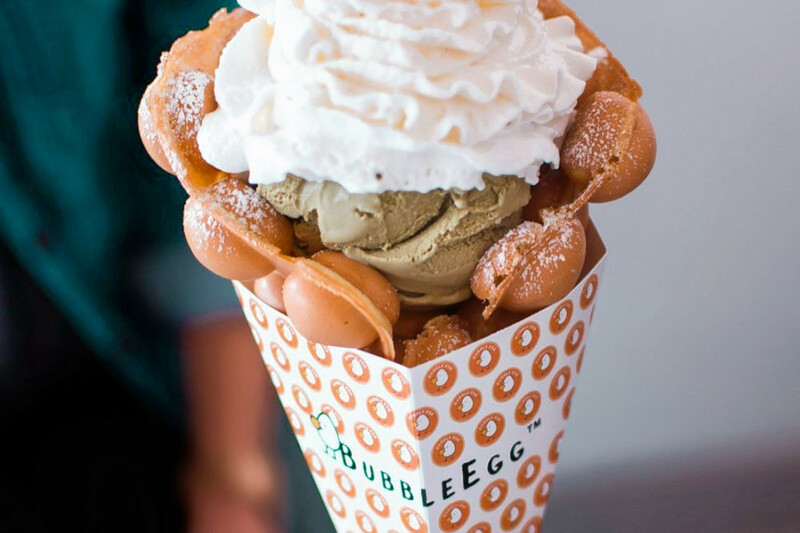 Bubble Egg is a popular new spot that specializes in Hong Kong-style bubble waffles, flavored teas and ice cream. On the menu, look for drinks like alcohol-free "mocktails;" green teas with mango, strawberry and passion fruit; and lychee, lemon and peach black teas. You can also top off any tea with ice cream, boba, aloe vera or coconut jelly. 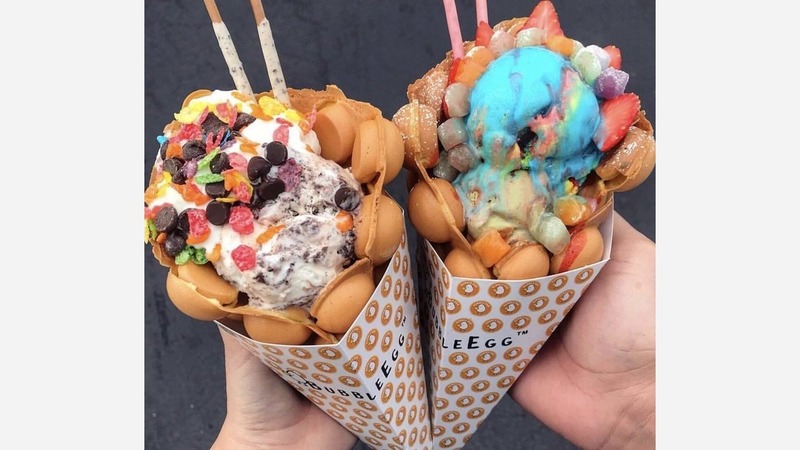 On the bubble waffle menu, expect to see options like the "Go Bananas" (with banana, pecans and caramel sauce) and the "Bubble Oreo" (with rainbow mochi and condensed milk). You can create your own waffle by starting with a base flavor (original, matcha or chocolate), then adding a scoop of ice cream and topping it all off with fresh fruit, nuts or candy. Yelp users are generally positive about Bubble Egg, which currently holds four stars out of 86 reviews on the site. Yelper Clera C. wrote: "The 'Double chocolate' base is so gooooood! It's my first time eating egg waffles with a chocolate chips inside. The outer chocolate shell is less crispy and more firm. The insides were glorious!" Norah R. noted: "Made a special trip down to Bubble Egg this past weekend since seeing a picture of their fun waffle on Insta. The ice cream and fresh-made waffle are yummy!" Bubble Egg is open Monday-Thursday from 2pm-10pm, Friday and Saturday from noon-11pm, and Sunday from noon-10pm. Since opening in Dun Huang Plaza in October of 2017, Wiki Poki has established itself as a poke go-to, with a four-star rating out of 27 reviews on Yelp. 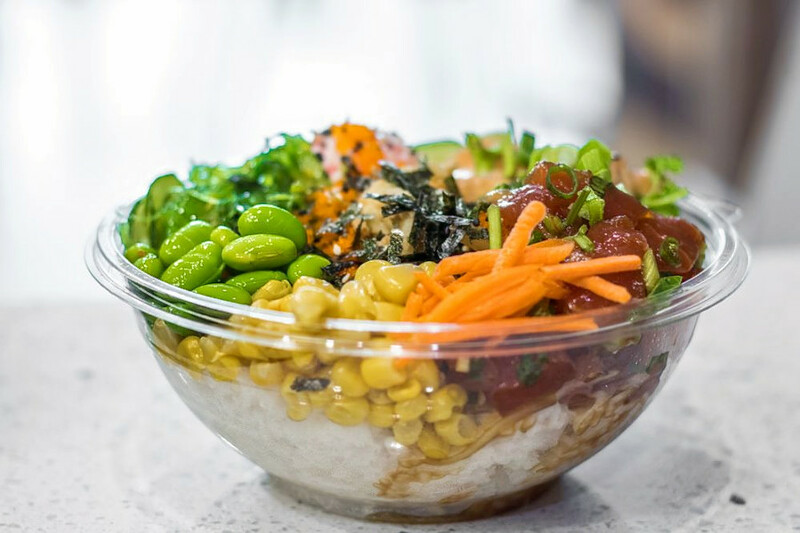 Like a number of new Houston spots, Wiki Poki specializes in poke bowls, a classic Hawaiian dish made of marinated raw fish mixed with a choice of various toppings and sauces. Protein options include tuna, salmon and shrimp, with accompaniments ranging from edamame to seaweed salad. The resulting dish is then served on a bed of rice or salad. Wiki Poki is open Friday and Saturday from 11am-10pm, and Sunday-Thursday from 11am-9:30pm. 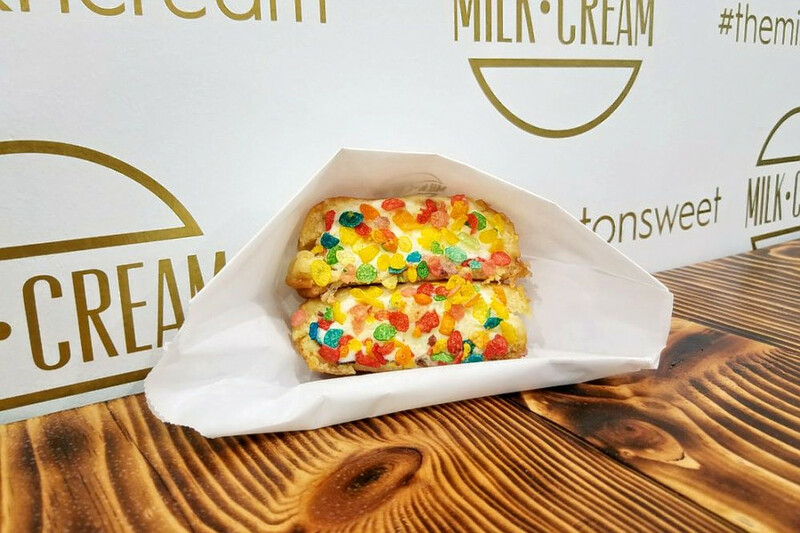 Head over to Milk & Cream to get in on one of Houston's newest dessert crazes: ice cream-stuffed donuts. The Dallas-based company, which opened its Houston outpost in September, slings a variety of ice cream flavors (think lavender, cereal milk, ube and matcha)--all served inside your choice of plain or glazed donut, and dusted with a selection of toppings. With a four-star rating out of 55 reviews on Yelp, Milk & Cream has been getting positive attention. Yelper Rachel E., who reviewed Milk & Cream on February 18th, wrote: "Yummy in my tummy! Hot fresh donut with a huge scoop of ice cream! There are lots of different flavors that they let you sample and are super patient with you." And Yelper Chenchen S. wrote: "Tucked away in a small shopping center in Chinatown, this little parlor specializes in the unique idea of donut ice cream sandwiches. There are a ton of flavors as well to choose from." 75 BBQ and Hot Pot Buffet is a new all-you-can-eat hot pot spot. According to the business owners, the hot pot comes from a secret recipe, and "regular, spicy or super spicy soup" are available. "We are also offering beef, goat, pork belly, goat tail, different kinds of seafoods, 30 and more vegetables, mushrooms and tofu foods, small dishes and 20 kinds of sauces," they state on the website. Dinner prices range from $25.99 for adults, to $15.99-$5.99 for kids (depending on age). To see full pricing, check out the business' website here. 75 BBQ and Hot Pot Buffet's current Yelp rating of 3.5 stars out of 46 reviews indicates the newcomer is finding its way, but it's still early days. 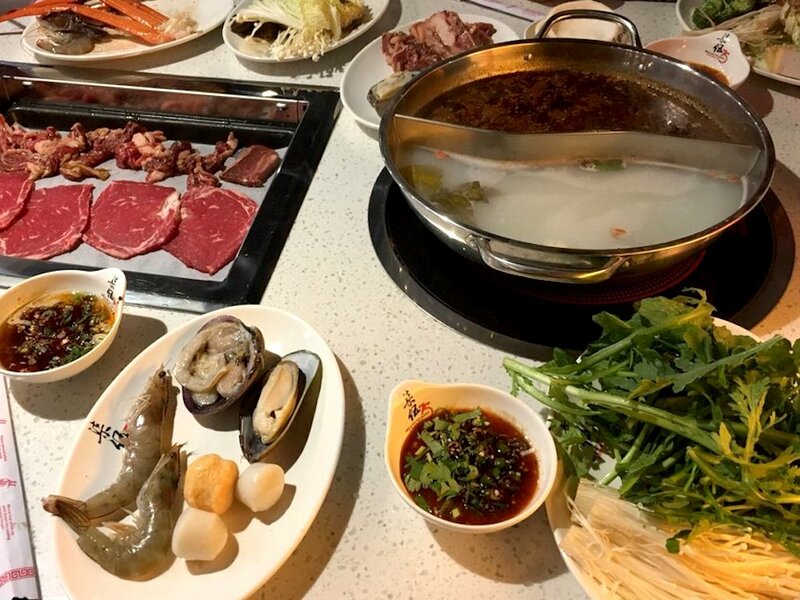 Yelper Chris W., who reviewed 75 BBQ and Hot Pot Buffet on February 23rd, wrote: "Finally, just what my friends and I needed--a place we can indulge our indecisiveness!" And John D. noted: "Thanks to 75, I have a new food obsession: the Chinese hot pot." 75 BBQ and Hot Pot Buffet is open weekdays from 4pm-10pm, Saturday from noon-10:30pm, and Sunday from noon-10pm. 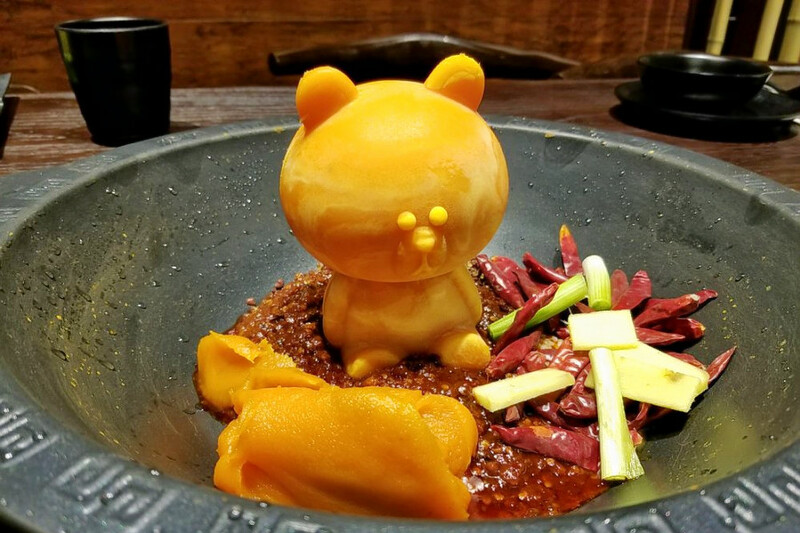 Niu Jiao Jian Hot Pot is another spot to score hot pot--with a twist. In addition to a full lineup of hot pot classics--proteins like beef, lamb and seafood to dip in the hot broth, along with an array of veggie additions such as lotus root, enoki mushrooms and Napa cabbage--Niu Jiao Jian also offers a dissolvable "bear" made with fragrant chili oil for folks looking for the numbing Sichuan peppercorn experience often found at hot pot. Niu Jiao Jian Hot Pot's current Yelp rating of four stars out of seven reviews indicates positive attention from users. Yelper Anna K., who reviewed Niu Jiao Jian Hot Pot on February 24th, wrote: "What a bomb experience! I came to celebrate my mom's birthday and it was perfect. We were in the VIP room and the ambiance (inside and the outside) was great--very lively and nicely decorated." And Yelper Katherine C. wrote: "I came for the bear. The end." Gerry's Grill is a new location of a Philippines-based eatery that has other outposts in California, Hawaii, Singapore, and Qatar. It specializes in Filipino comfort foods like sisig (pig head and liver seasoned with calamansi and chili peppers), inihaw na pusit (grilled, stuffed squid), and beef kare-kare (stew with peanut sauce). Gerry's Grill currently holds 5 stars out of 31 reviews on Yelp, indicating good reviews. Yelper Jason B. wrote, "Great food, just like home, but service needs improvement. Yes, it's a dry run, so you can make adjustments. We ordered a lot, but still weren't able to taste all the great food." It's open Friday and Saturday from 5pm-11pm, and Sunday-Thursday from 5pm-10pm.